World cup fever spread across Europe seemingly following us. From the first games we saw in Germany, to the final match we saw from home, the excitment and energy of the World Cup was inescapable. People cheered for their home team, their neighbor’s home team and the under dog. In Brussels our friend’s neighbors were from Ghana and the night they were defeated the street went from noisy and boisterous to completely silent. 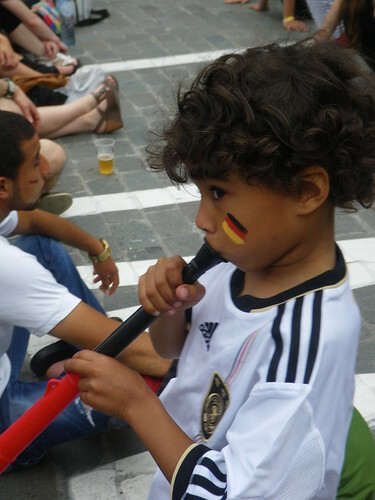 Here’s a little fan who played his vuvuzela loud and proud on the streets of Brussels.